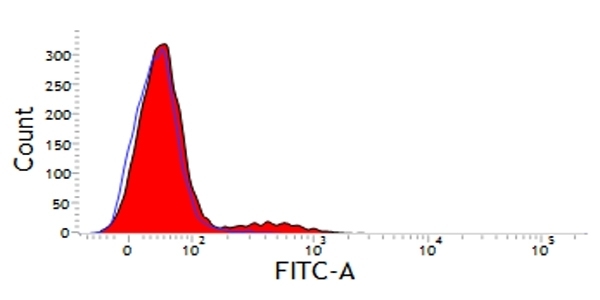 Mouse anti Dog CD11d antibody, clone CA11.8H2 recognizes the canine CD11d cell surface antigen, also known as integrin alpha d subunit. The alpha d integrin (CD11d) subunit is expressed as a heterodimer with beta 2 integrin (CD18). CD11d is expressed by a sub-population of macrophages, some CD8 positive T cells and by gamma/delta T cells in the splenic red pulp. Over expression of CD11d is noted in histiocytic disorders including hemophagocytic sarcoma, described as a proliferative disorder specifically of CD11+ macrophages (Moore. et al. 2006) with macrophages demonstrating marked erythrocytic phagocytosis. Previously, canine histiocytic sarcoma were described as originating entirely from interstitial dendritic cells. Cells from animals with canine hepatosplenic T cell lymphoma (HTSL) strongly express CD11d on malignant cells. Dogs normally demonstrate strong positivity for CD11d on large granular lymphocytes, macrophages and T cells in the splenic red pulp. CD11+ γ/δ T cells constitute ~30% red pulp T cells despite their rarity in peripheral blood, suggesting a splenic red pulp origin of HTSL (Fry et al. 2003). 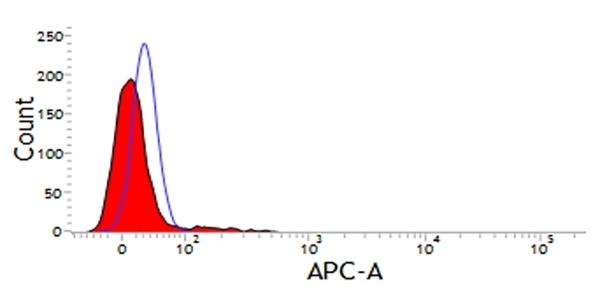 Affinity purified CD11 antigen from canine spleen. Danilenko, D.M. et al. (1995) A novel canine leukointegrin, alpha d beta 2, is expressed by specific macrophage subpopulations in tissue and a minor CD8+ lymphocyte subpopulation in peripheral blood. Vernau, W. and Moore, P.F. (1999) An immunophenotypic study of canine leukemias and preliminary assessment of clonality by polymerase chain reaction. Fry, M.M. et al. (2003) Hepatosplenic lymphoma in a dog. Vernau. W. (2004) Flow Cytometric Assessment of Hematopoietic Neoplasia in the Dog.